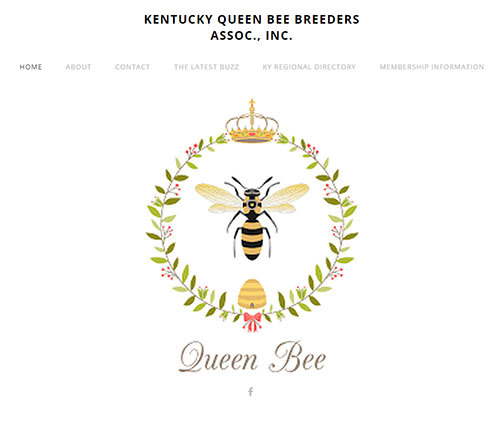 The newly formed Kentucky Queen Bee Breeders Association is up and running. The officers are: President, Dorothey Morgan, Vice President, David Davis, Treasurer, Joe Taylor and Secretary, Kristi Willoughby. The founding board members are: Nick Nickels, Kevin Hale, Chris Renfrow, David Davis, and Dorothey Morgan. The goals of the Kentucky Queen Bee Breeders Association are to improve the genetics of the local honey bee queens to a sustainable level, to educate the local beekeepers in sustainable beekeeping, to help produce colonies that do not need chemical treatments to survive Varroa mites, and to provide sustainable management in cases of brood diseases. The association’s first event will be a member’s only meeting in Frankfort, at KY State Apiarist Tammy Horn-Potter’s office complex. The main topic will be the number one honey bee killer, the Varroa Destructor (mite). Dwight Wells who works with Purdue University and Heartland Honey Bee Breeders Co-op will talk about Varroa. Tom Webster will bring microscopes with him so we can see the mites up close. Dwight will bring chewed mites from Ohio and we hope to have Kentucky chewed mites to look at as well. The directors, officers, and members will be traveling to their local clubs, sharing what we have learned, and searching for local mite chewers. Please visit our Facebook page and our website to learn more about our organization and upcoming meetings and workshops.